Adapt to the trail in the Merrell Bare Access Flex Knit. The 3D knit upper creates a sock-like fit that’s comfortable right out of the box and offers ultimate breathability. 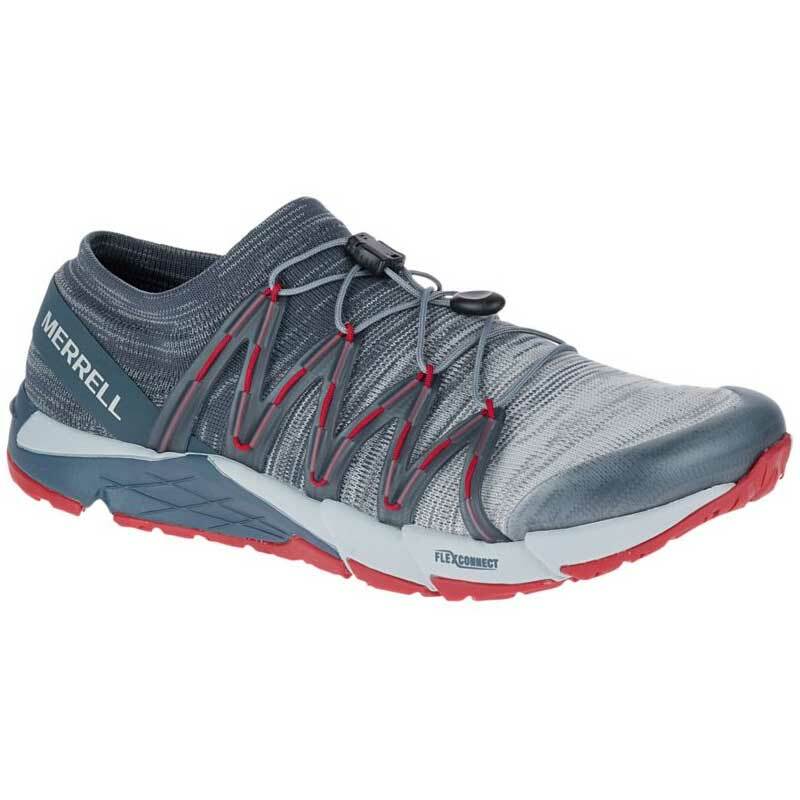 The lace lock closure system provides easy on/ off and a secure fit while Merrell’s FLEXconnect™ dual-directional flex groove midsole ensures agility and stability. For underfoot comfort, the Bare Access Flex Knit has a 3mm cushioning layer and the Hyperlock™ molded TPU heel counter locks your heel in place for security. Become one with the trail in the Merrell Bare Access Flex Knit.